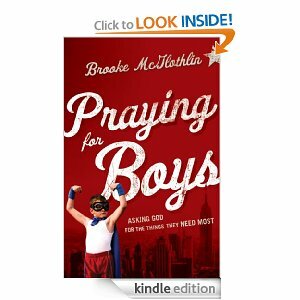 ‎PrayingForBoys‬: Asking God for the Things They Need Most just $1.99 TODAY ONLY! You are here: Home / Amazon Kindle Free Books / ‎PrayingForBoys‬: Asking God for the Things They Need Most just $1.99 TODAY ONLY! If you’re a boy mom you need this book! ‪PrayingForBoys‬: Asking God for the Things They Need Most is just $1.99 TODAY ONLY for Amazon Kindle. If you’d perfer the hard copy it’s only $9.89. You can still enjoy this Kindle book deal even if you don’t own an actual Kindle. Just download the free Kindle app for your devices (Mac, iPhone, iPad, iPod, Android, or PC).